No home library is complete without the classics! H. G. Wells is a keepsake collection of the author's greatest work to be read and treasured. He was the first to popularize the concept of time travel. He disturbed--and fascinated--us with a frightening doctor’s island. He wrote of an invisible man, of men on the moon, and of a war of the worlds. He has influenced countless other writers, artists, and even scientists. 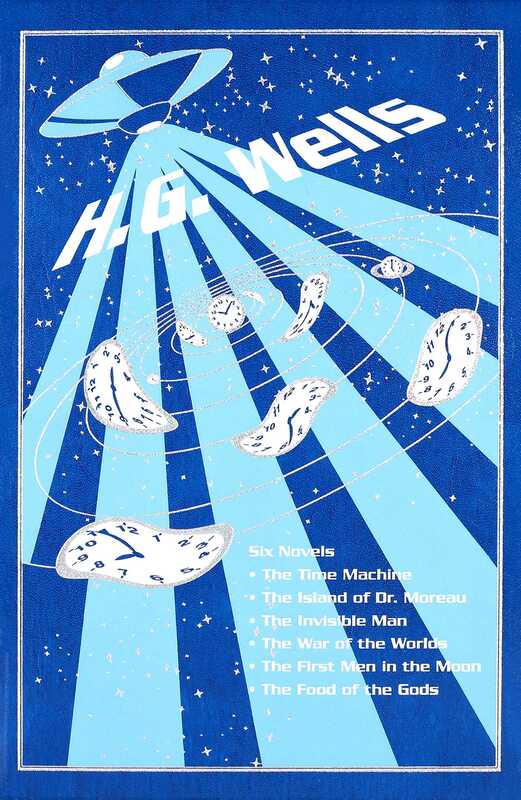 H. G. Wells is one of the most acclaimed science fiction writers who ever lived, and five of his classic tales are collected in this book for readers to treasure. H. G. Wells includes The Time Machine, The Island of Dr Moreau, The Invisble Man, The War of the Worlds, The First Men in the Moon, and The Food of the Gods. Readers new to this remarkable author will delight in these amazing stories, while fans of Wells will enjoy the insightful introduction by an expert on the author’s life and work. All will appreciate the leather cover, gilded edges, printed endpapers, ribbon bookmark, and other features on this unique gift book. No library is complete without the works of H. G. Wells, the father of science fiction! English author H. G. Wells is best known for his work in the science fiction genre. He was also a prolific writer in many other genres, including contemporary novels, history, politics, and social commentary, even writing textbooks and rules for war games. He was born on September 21, 1866, and died on August 13, 1946.